Der Artikel Jean Chrysostome K. Kiyala: Child Soldiers and Restorative Justice wurde in den Warenkorb gelegt. Ihr Warenkorb enthält nun 1 Artikel im Wert von EUR 109,51. This book investigates how, while children used as soldiers are primarily perceived as victims of offences against international law, they also commit war atrocities. In the aftermath of armed conflict, the mainstream justice system targets warlords internationally, armed groups and militias' commanders who abduct and enrol children as combatants, leaving child perpetrators not being held accountable for their alleged gross human rights violations. Attempts to prosecute child soldiers through the mainstream justice system have resulted in child rights abuses. Where no accountability measures have been taken, demobilised young soldiers have experienced rejection, and eventually, some have returned to soldiering. 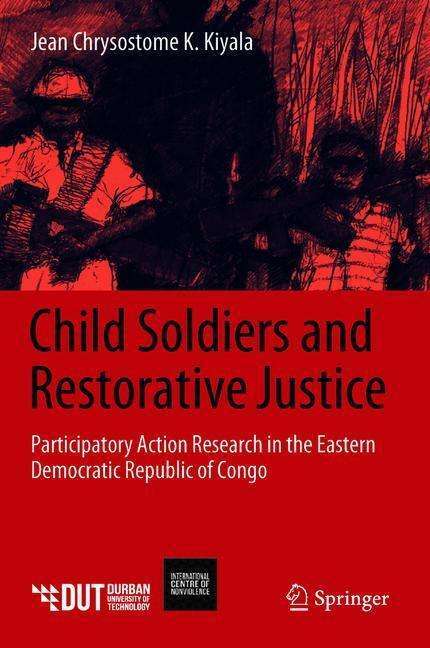 This research provides evidence of the potential of restorative justice peacemaking circles and locally-based jurisprudence - specifically the Baraza - to hold former child soldiers accountable and facilitate their reintegration into society.